G3 is a line of insulation materials developed by ISOVER. This production technology reduces environmental impacts from the production phase onwards, while creating a material that can reach high thermal performance levels. The binder, a mixture of organic and vegetable components, produces less VOC (volatile organic compounds) emissions. This wool is also recyclable and ensures better interior air quality. 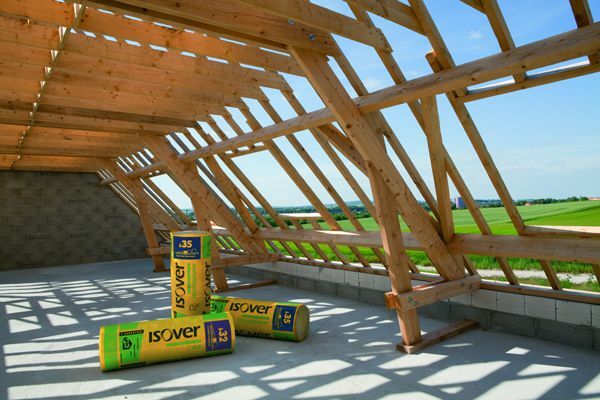 Through an approved life cycle analysis (LCA), Isover was able to measure that G3 saves up to 200 times more energy than the amount used to produce insulating materials. For example, G3 insulating materials are made using over 95% natural materials (sand and recycled glass). Thanks to a new production process which noticeably reduces energy consumption (-4%) and water consumption (-6%), it is then transported at the highest compression rate for insulating materials and finally recyclable at the end of its life. Thanks to their new binder, G3 mineral wools can anticipate the world's most demanding emission thresholds for volatile organic compounds, such as those proposed by the AFSSET protocol.